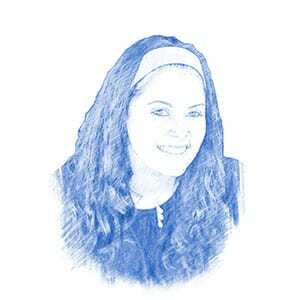 Ariella Mendlowitz, Author at Breaking Israel News | Latest News. Biblical Perspective. According to Rabbi Yehoshua Fass, founder of Nefesh B’Nefesh, this was the 56th charter flight since the organization opened in 2002. Through the power of modern technology, a brand-new opportunity is now available for Christians around the world who yearn to learn the truth of God’s Torah from the Jewish perspective. Best known for her career-defining portrayal of Princess Leia in the Star Wars franchise, Fisher grew up in the world of Hollywood movies. Take a look at the stunning displays of celebration and religious pride as seen throughout the Holy Land during this most festive of holidays! The display of Jewish pride from the daughter of president-elect Donald Trump evoked numerous positive responses in the comments section of Ivanka’s post. A bag filled with Judaica and other gifts purchased with the generous donations of Israel365 customers awaits 60 families who lost their homes to the devastating blazes that plagued Haifa communities two weeks ago. Facebook, YouTube and Twitter users who employ the social media channels to share and encourage their pro-terrorism sentiments will be seeing newly enforced action against them. “Woman was created with an innate ability to heal everything” from a bruised knee to a broken heart,” explained Siegel. “When using the metaphor of termites, the Congressman was referring to the corrosive process, not the people,” the statement read. It is as of yet unclear the motivation for the shooting, whether criminal or terror-related. Sunday’s attacks are the latest in a sudden stream of incidents plaguing Germany in recent days. “The tank is a game changer,” Maj. Michaeli affirmed. The tunnel belongs to the Izz ad-Din al-Qassam Brigades, the organization’s military wing.